A stellar review and the Walk a Mile Book Tour! It’s almost here! Walk a Mile will be released on Friday, Oct 3rd from Dreamspinner Press, and that also marks the launch of the book tour with Pride Promotions! I have to take this moment here to say how impressed I’ve been by Will Parkinson’s organizational skills and professionalism. 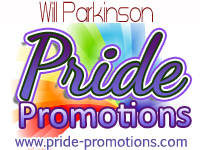 If you’re looking to have someone host your next book launch, consider Pride! I’ve been writing blog posts like a fiend, and I still have a few more to complete, but the bulk of the work is behind me now, and I am starting to look forward to the release date. Of course, it helps when you get a completely unexpected and utterly delightful review of the first book in the Sixth Sense series, Unspeakable Words! It’s been so long since Unspeakable Words was released that I’m just a tad bit concerned that no one will remember or care about Special Agents John Flynn and Jerry Parker—and their bromance-turned-romance. So when I found out about this 5 star review by Queer Town Abbey earlier today, I was over the moon! So without further ado, I give you the book tour schedule! Be sure to check out the reviews, interviews, excerpts, and Rafflecopter giveaway! That’s looking very good. And the good review is well deserved. 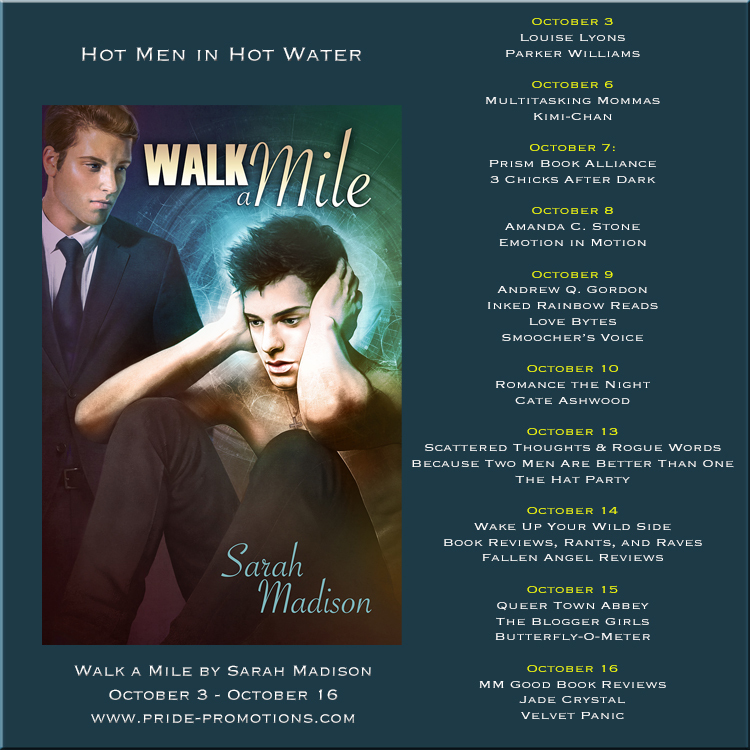 Sarah Madison recently posted..A stellar review and the Walk a Mile Book Tour! *grins* I definitely plan to take advantage of the sale before it’s over, but decisions, decisions! I can blow my book budget for the month pretty fast!